The Axiom Business Book Awards celebrate their second year with this list of the past year�s best business books and their creators. The goal of the awards is to celebrate the innovative, intelligent, and creative aspects of the books that make us think, see, and work differently every day. 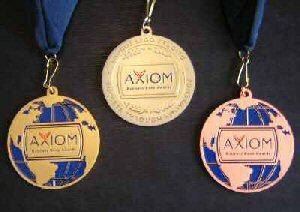 Click here to receive 2010 Axiom Awards (for 2009 releases) email updates.